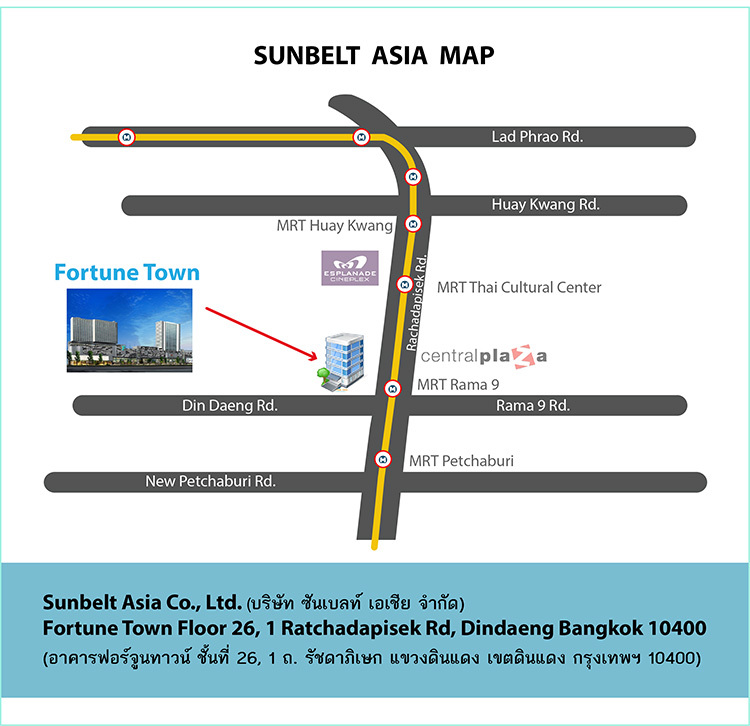 Sunbelt Asia is your one stop shop for all your legal and business needs. Sunbelt Asia offers a full range of business services including business sales, acquisition and mergers, accounting, company set up, work permits, visas, licensing and fully serviced offices to give your business a home. Sunbelt Asia offers a comprehensive legal team to aid you with family issues such as wills, prenuptial agreements, marriage registration, child registration and adoption, and divorce and custody agreements. We also cover all your property needs including purchase and sale of condominiums, land and more. New Serviced Offices are now available At a top location right at the Phraram 9 MRT station. Paperwork for you to obtain your VAT certificate. We know the process so there is no need to wait two to three weeks for it to be processed. We offer three serviced offices from 30sqm to 35sqm for the reduced rate of 12,000 and 15,000. 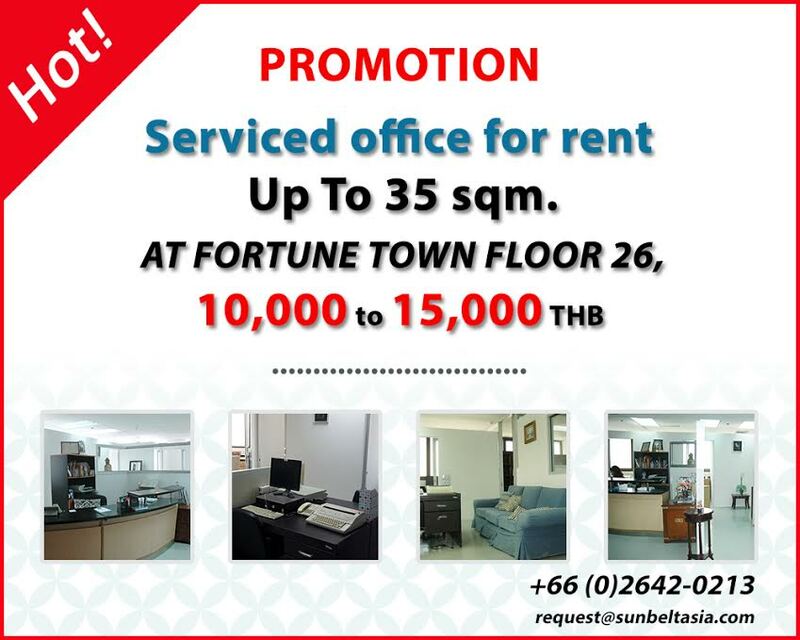 These premium offices usually rent for15,000 and 18,000 baht a month. อัพเดทล่าสุด : 5 ส.ค. 2559 07:59:44 น.